Summary: This is now my new favorite pick! I had misplaced my Wegen GP 250 and wanted to get another GP 250. The store that I bought the last one at was out of GP 250’s so I dug in the Wegen pick box and found this beauty! The grip is awesome! Pros: Beefy (5mm) pick that is amazingly accurate despite its thickness. Despite its thickness, this is tonally versatile pick! Cons: Though it doesn’t take anything away from the rating, my only nit about my pick is that it’s black. Black gets lost easily on a dark stage. But Wegen makes them in white, so I’ll probably order a few of the white ones. 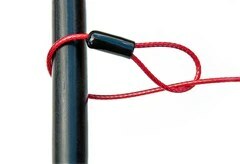 Perfect bevel that makes your strings really ring! 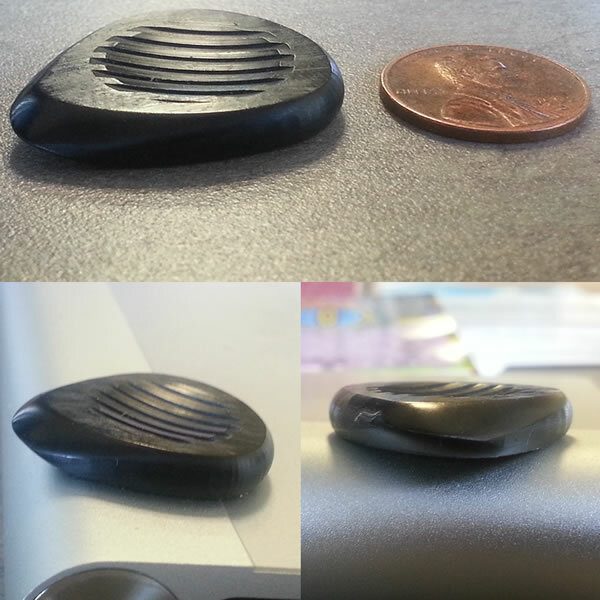 Don’t know the material, but it’s a VERY hard plastic that does not scratch. You will never need to buff or resharpen Wegen picks! Tone Bone Rating: 5.0 ~ Though I still love my V-Picks Snake (pointed), this pick is now my primary. It’s the perfect pick! Admittedly, I discovered this pick not because I was looking to add to my collection of picks, but because I lost my GP 250, which had served me well for the last couple of years. I simply wanted to replace it. Unfortunately – or fortunately – the shop that I bought my GP 250 at was all out of them. So I looked through the case to see if I could find an alternate. That alternate was the Fatone. I knew from the first moment I held it that I was onto something with that pick. Then when I strummed it on a guitar in the shop, I was completely sold! Playing it at my solo acoustic gig an hour after that sealed the deal for me. I’ll be hard-pressed to use another pick. 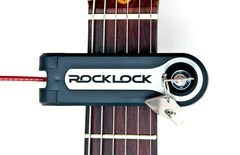 This is a FAT pick at 5mm. But the inset, thumb-side grip, combined with the beveled tip make this pick feel so much thinner. It’s truly a joy to play. What is it about fat picks for me? Well, having used them for a few years now, the most significant effect they’ve had on my playing besides tone is how they make my right hand relax. The way that works is that in order to make the pick glide over the strings effectively you have to hold the pick a lot looser in your fingers. That looser grip affects the whole hand. Granted, it took a little while to get used to, but once I was comfortable with a fat pick, going back to my old nylon picks seemed absolutely foreign to me. But relaxation made my playing much more fluid, and I was actually able to play a lot faster because my hand was so relaxed. In any case, I’m hooked on fat picks, and I’ll never go back to conventional picks. Now I know that I normally do a “How It Sounds” section, but I’m actually on the road right now, writing while my son is driving the car (I’m taking him to college). But also, I don’t know how useful that section would be in this case. 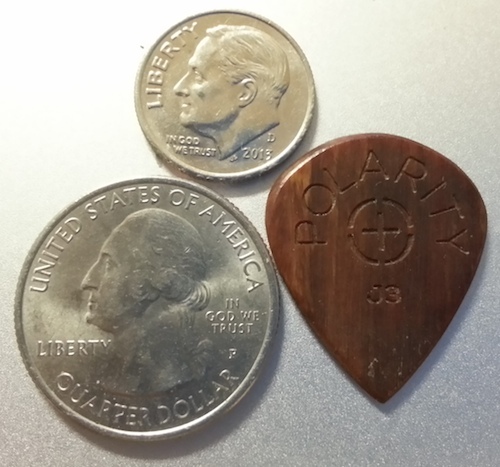 All I can say is that the fat pick produces a big sound, but in the case of the Fatone, because of the nice pointy bevel, it produces a nice, bright ring in addition to the deeper tone. It’s a bit hard to describe. It “feels” so much more full than other picks. For instance, though I love the sound my V-Picks Snake makes, it’s definitely a lot more mid-rangy than the Fatone. One thing that is significant about the Wegen pick material is that it has a texture that feels softer than tortoise, but it’s actually a VERY hard material. The cool thing is that it’s a lot more damp on the strings than either acrylic or tortoise (or natural material). But it doesn’t produce a damper sound. It’s a feel thing. 🙂 In any case, I’m hooked on this pick. Also, tonally, this is a VERY versatile pick. By simply changing the angle and depth of attack, I can get thick, warm tones to nice bright tones. That’s extremely cool! As I mentioned above, I now have a new favorite pick. Not sure what else I can say about it. I won’t be getting rid of this one any time soon! 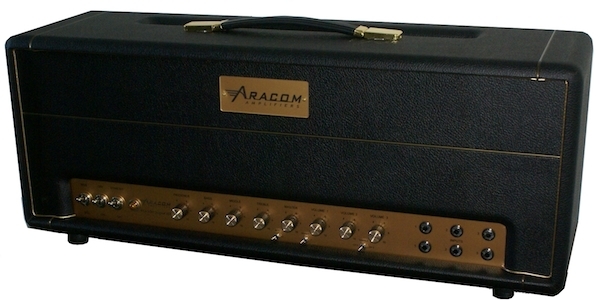 Aracom Amps VRX18 Tweed ComboSummary: No… Surprisingly enough, I didn’t buy this one, as I already have the VRX18 head. But my good friend and bandmate just bought this, and I tested it out for him so he could listen while he was making his decision. Anyway, this is classic Marshall 18 Watt Plexi tone, but with Jeff Aragaki’s tweaks and modifications. It’s such a sweet-sounding amp, clean or dirty. Pros: Handmade, and hand-wired on turret board. The VRX18 brings out the best of what I love about EL84-powered amps, and combined with the custom Weber speaker that’s in the cabinet to balance out the natural highs of the amp, this amp is capable of producing some of the most gorgeous clean tones I’ve heard, plus some incredible vintage overdrive. 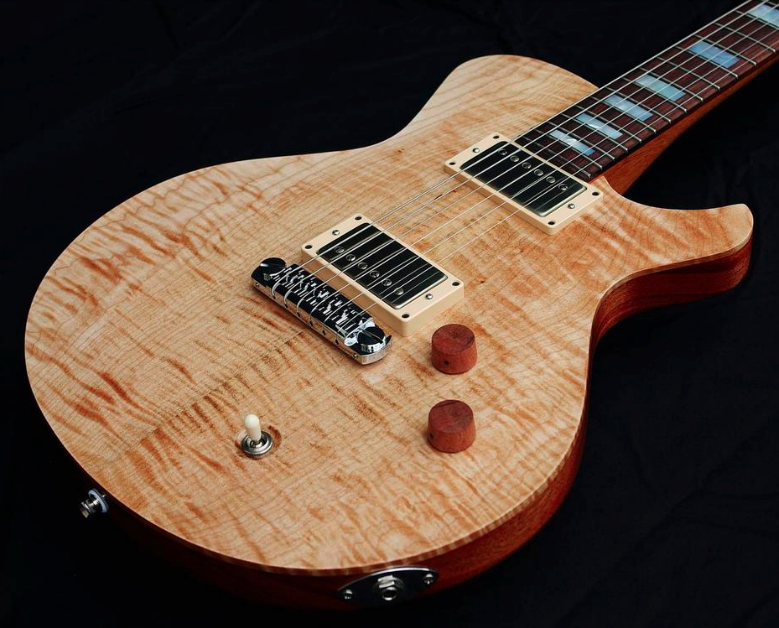 – Handwired and Handcrafted in the USA. Tone Bone Score: 5.0 ~ Yeah, I’m biased towards Aracom Amps as I am a faithful customer, but this amp is yet another example and an affirmation of why I love Aracom amps so much! 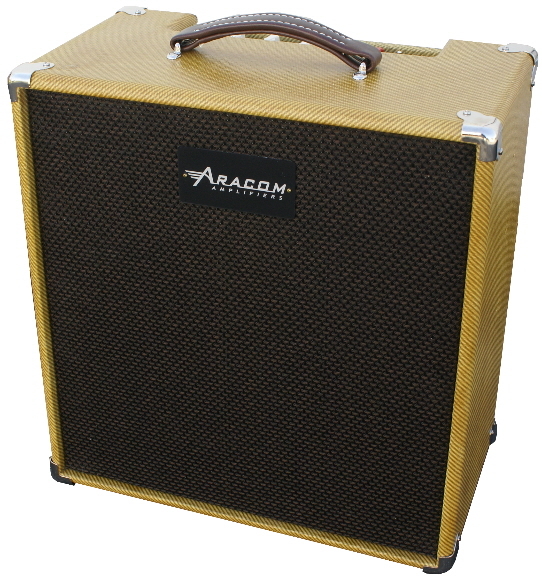 As most know who read this blog with any regularity, I’m a faithful Aracom Amps customer. I play three of them: VRX22 (6V6), VRX18 (EL84), and the PLX18 (EL84); plus I have the venerable PRX150-Pro Attenuator. Can’t believe I’ve been playing Aracom equipment for almost four years now, but I can’t think of any other amp to play, except for, perhaps, the DV Mark Little 40, which I still intend to get eventually. In any case, my bandmates have known my passion for Aracom equipment, but have purchased other amps in lieu of the fact that I’ve been raving about Aracom for years, and in lieu of them commenting on how great the Aracom tone is. It always puzzled me, but hey! To each, their own. A few of weeks ago, my right-hand and cohort in the band Dave started looking into getting a new amp, and to my pleasant surprise started taking a look at the Aracom site and listening to the clips. He was actually considering buying a Carr Viceroy, but held back until he took some time to evaluate amps. Now he’s glad he did. In any case, he contacted Jeff and set up a meeting to go out to Jeff’s shop, and asked if I wanted to tag along. Never one to turn down an invitation to hang out with Jeff if I can help it, I accepted and a couple of days later, we made the short trek out to Jeff’s shop. The wonderful thing about working with a builder like Jeff is that because he’s a small operation, he can be fairly agile in the combinations of equipment that he offers. So on that day, we took a couple of hours to play through different cabinet/speaker combinations to find a combo that “fit.” After playing through the tweed cabinet with a custom Weber 1 X 12, it was clear that that combination was the best for the style that Dave plays, which is mostly clean. Jeff told Dave that he should take the amp with him and play around with it before he made the decision, so we loaded the amp in Dave’s car. On the way home, I mentioned to Dave that he will probably not want to return the amp and left it that while we talked about other stuff. A few hours after I had returned home, Dave called me. He wasn’t returning the amp. 🙂 I knew that would happen. That amp was magical. Earlier, I shared with Dave on the way home that he’d know if he found the right amp if he lost track of time. He did. Now he is the proud owner of the best amp he’s ever played. I love the classic tweed finish of this amp. Jeff personally built the enclosure and covered it with tweed. It’s really beautiful to look at. He also used 1/2-inch ply to construct the cabinet, which is something I look for in cabinets. With 1/2-inch ply, I believe the wood provides a lot more resonance as opposed to cabs built with thicker boards. Compared side-by-side with my Avatar 1 X 12, which uses thicker wood, the Aracom cab sounds so much more deep and lush (I’m not knocking my Avatar – that cab is perfect for more aggressive tones). Unfortunately, I don’t have any clips to demonstrate, but Dave’s VRX18 sounds absolutely KILLER! I’ve played three of Dave’s guitars through the amp, which include a custom Carvin acoustic/electric, a custom Rick Turner Renaissance, and a Gibson ES-335. All three guitars sound absolutely gorgeous through the amp which, with the custom Weber and dynamite cabinet produce a very lush and deep clean tone, while retaining great note separation and definition. Note separation and definition are especially important with an amp that produces such deep cleans because it could become extremely muddy. Not so with the Aracom VRX18 combo. It’s important to note also that in addition to such great cleans, the amp really projects the sound well, with a very three-dimensional quality about it that makes it sound as if it has a reverb tank. Jeff attributes a lot of this quality to the sag simulation circuit that he built into the amp. 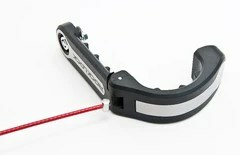 It provides just a touch of sustain to add depth to the sound. Playing right next to Dave is another guitarist (another Dave) who has a Carr Mercury. Maybe the “higher end” Carr models sound better, but the Mercury’s tone pales in comparison to the VRX18. Where the VRX18 sounds three-dimensional, the Carr sounds brittle and hollow. I don’t like the tone of that amp at all, and constantly have to help the other Dave dial in his EQ to make it sound even halfway decent. Also, the reverb on that amp is horrible, and I always have him turning it WAY down. Amazing that that amp costs more than twice as much as the VRX18. Anyway, I don’t want to make this a Carr amp smack-down. 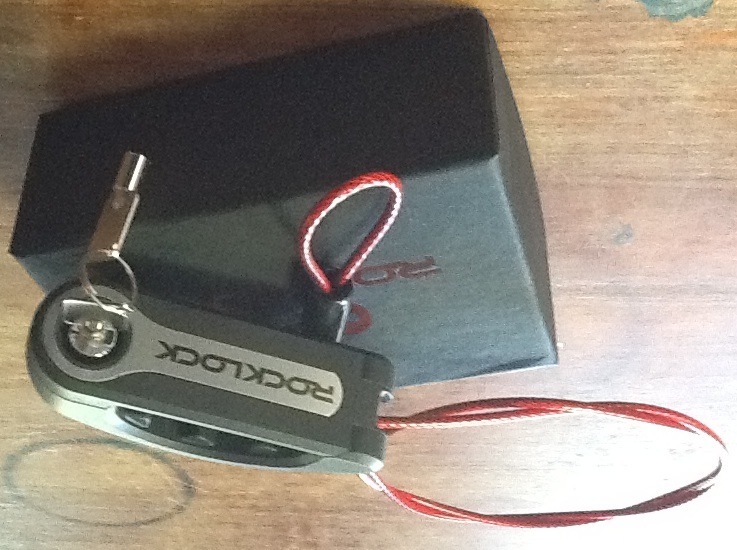 Suffice it to say that the Aracom VRX18 simply outperforms the Carr hands-down. Jeff Aragaki makes killer amps. He’s not building near the amount of amps at this point in time as he has in the past because his attenuator business is so good. But when he does get amp orders, he takes extra-special care that it’s right; and that’s exactly what he did with this particular amp. In fact, this particular model of the VRX18 is much more simple than his other models in that it doesn’t have the 1/2 power switch, nor does it have a tube rectifier. But it sounds incredible as it is. And as I mentioned above, this amp is yet another example of why I will remain a faithful Aracom customer! For more information, go to the Aracom Amps web site! Summary: A single 10″ speaker is NOT supposed to sound this big! 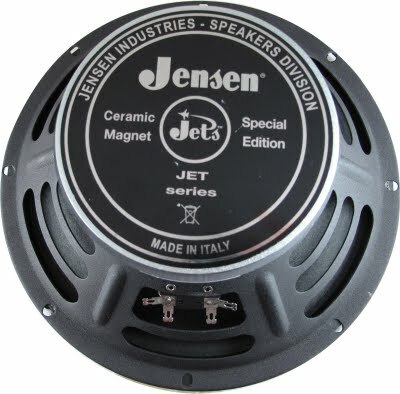 Sure, Jensen may be marketing as a real “rocker” but this speaker will absolutely KILL with any style. Pros: Big, ferrite magnet produces a fat, bottom end that is absolutely to die for! No loss of definition, no muddiness. This speaker absolutely KILLS! 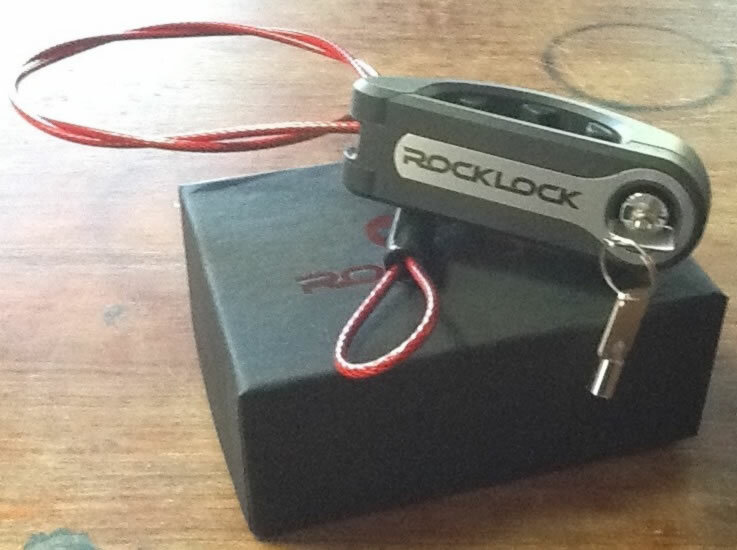 Features – It would be best to check out the link above to see the specs. Tone Bone Score: 5.0 I’ve been using this speaker for a couple of weeks now in a little, 6-watt amp, and I’m simply loving the sound that this speaker produces. I hate cliches. But sometimes a cliche is the only way to describe something. The cliche I’m thinking about regarding the JC10-50EL is “Big things come in small packages.” In this case, it’s a big sound that comes in a small, 10″ speaker. Every time I play through this speaker, no matter what guitar I use, I’m floored by the big sound (I know, I used that term before) that this speaker produces; not to mention the clarity. I’m so impressed with it that I’m going to put together a 2 X 10 or a 3 X 10 cabinet with these speakers in it. This afternoon, I quickly recorded a couple of demo clips this afternoon. All clips were recorded using my American Deluxe Strat, straight into my VHT Special 6 combo where the speaker resides. Note that I close-miked the amp and had it cranked! No attenuation, no sound dampening. What you hear in these clips is pretty much the raw sound with just a touch of reverb with the dirty clips (<10% wet). But I did no mastering or EQ. You’re getting the full range of sound in all the clips. Like I said above, a single 10″ speaker is NOT supposed to sound this big. You normally need at last a couple of 10″ speakers to get a decently rich sound. But just one of these can move some serious air! I can’t wait to get my new cab put together! The VHT Special 6 and JC10-50 combination is a match made in heaven, as far as I’m concerned. 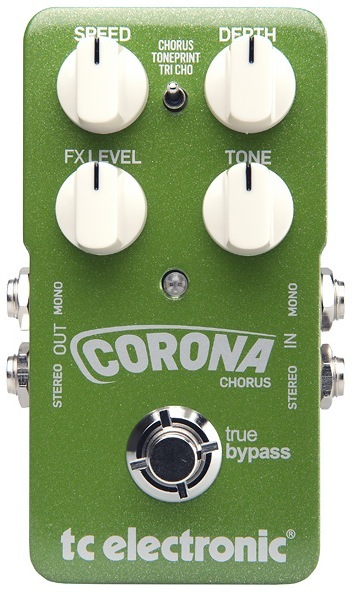 I mentioned in my previous gig report that I used this with my church band. That combo held its own throughout the service! Admittedly, I had to set the amp on a chair, but it worked out great!